Christine has put paper cutting right in the middle of the crafting map following her appearance on BBC4's 'Make! Craft Britain'. This day school will introduce you to a variety of cut out items and a little bit of history of the craft to show how versatile this craft is. You will learn the basic skills and lots of top tips. You will get to grips with creative lettering and produce a panel unique to you. This could be a birthday greeting, or family names or short saying. 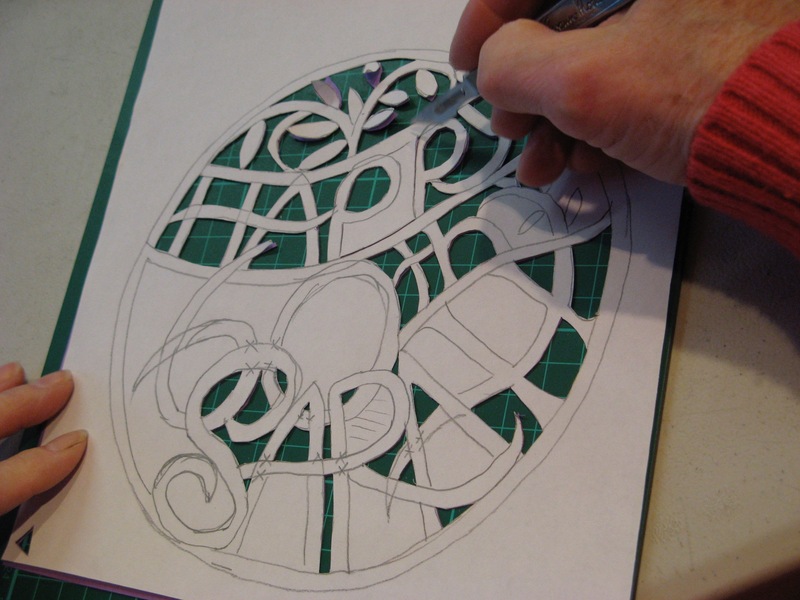 If you choose to stay longer, you will design and cut several pieces including a three dimensional card. You will practice you newly acquired skills and master safe and accurate cutting, and designing effective and pleasing items. Please bring an image, or saying or something which might inspire you - Christine will bring a wealth of inspirational pieces for you.